The new BaByliss PRO Cordless Super Motor Collection, with heavy duty clipper and trimmer, delivers high powered cord or cordless use with advanced lithium technology for sustained power performance. Professional clipper featuring a high-torque brushless motor for supreme power and faster blade speed to ensure effortless, high quality cutting through longer, thicker hair. The Super Motor Clipper also features 5 position taper control, 6 comb attachments and an all-metal housing design for ultimate professional durability and usage. Professional trimmer features a choice of 2 interchangeable blades with zero gap adjustment for precision and control. The Super Motor Trimmer has a long-life battery and super-fast charging to guarantee sustained performance for the ultimate in precision detailing, with high-torque brushless motor for power performance and a clean, close cut. Both clipper and trimmer feature Japanese steel blades with super sharp cutting angle, allowing you to achieve a smooth, precise cut on all hair types. Charging is made easy with the dual charging stand, allowing both the Super Motor Clipper and Trimmer to be charged at once. 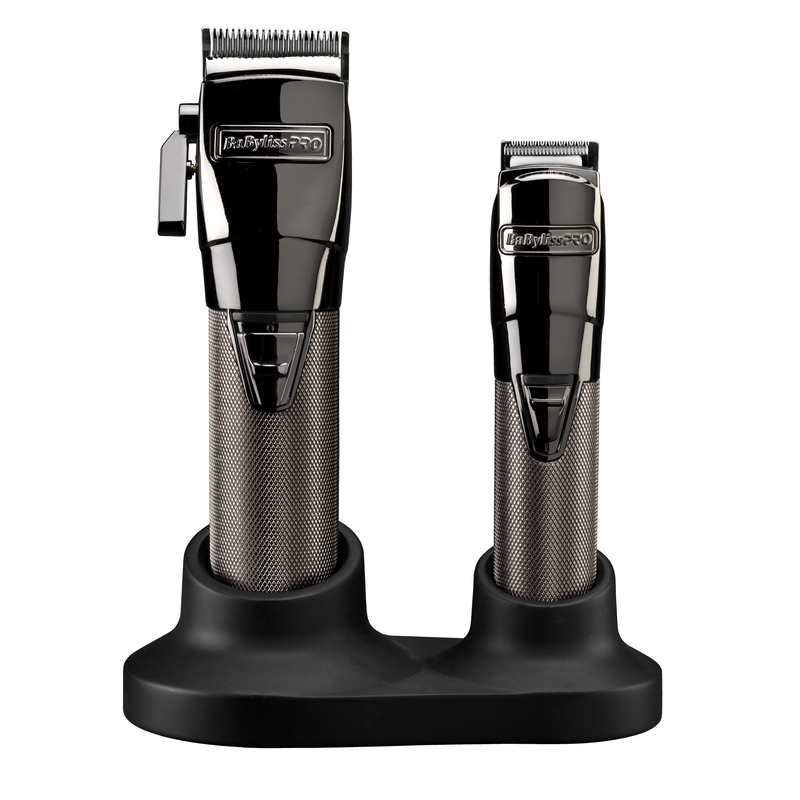 With comfort in mind, the clipper and trimmer have been absolutely balanced to give you superior handling during use.